Wife of jailed sect head gets hospitalized in serious condition, in what is said to be her second suicide attempt in as many months. Rescue forces were dispatched on Wednesday night to the Ashdod home of Rabbi Yoshiyahu Pinto, the head of the Shuvu Yisrael sect who is currently in jail for corruption, after his wife Rabbanit Devorah Pinto was found unconscious and in serious condition. The on-call medics who arrived at the home gave her initial medical treatment and evacuated her to Barzilai Hospital in Ashkelon, where the doctors began stabilizing her condition. According to sources in the rabbi's sect, it is possible that the rabbanit once again overdosed on medications in a second attempt at suicide. Two months ago she was hospitalized under similar circumstances. Pinto's followers said in response at the time that the prosecutor is continuing to "torture" their leader's family, while claiming his innocence and saying the family is going through a rough period. 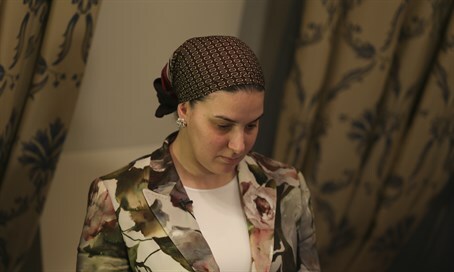 They also alleged that the prosecutor and police "knew well that the rabbanit suffers from difficult problems, in addition to the cancer that the rabbi is suffering from, and in extraordinary injustice they are continuing the settling of accounts and the ongoing lack of justice with infuriating bullying and brutality and ignoring the special family situation." The criticism of the police and prosecutor come despite the fact that Pinto was let out of jail for Passover in April on a loophole, getting out for his brother's wedding which was evidently intentionally scheduled late enough in the day before Passover that he was allowed to remain at home for the holiday - even though he was not eligible for time off. Pinto is currently serving a year in Nitzan Prison's medical center, after the Supreme Court three months ago rejected his petition to have the year in jail turned into a half-year of community service due to his medical condition.